The majority of systemd hate appears to be coming from just two sources. At least that’s what we suspect & call them out. 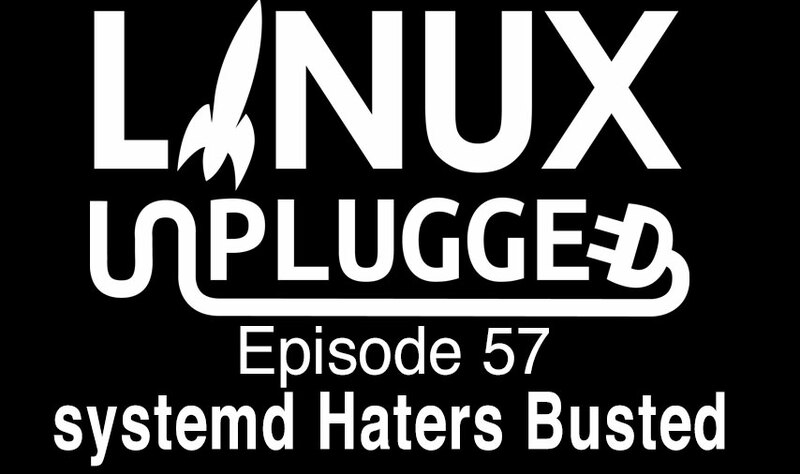 Plus a review of OpenMediaVault and how it compares to FreeNAS, a quick look at Tox & what the heck is Fedora’s DNF? OpenMediaVault • View topic – [Howto] Setup ZFS on OMV Step by Step for ZFS Fans. Systemd has turned into the Godzilla of Linux controversies. Everywhere you look it’s stomping through blogs, rampaging through online discussion threads, and causing white-hot flames that resemble Godzilla’s own breath of death. TechNewsWorld has a roundup of the systemd hostilities in case you missed any of it and want to savor some of the drama. Maybe it’s time Linux is split in two. I suggested this possibility last week when discussing systemd (or that FreeBSD could see higher server adoption), but it’s more than systemd coming into play here. It’s from the bootloader all the way up. The more we see Linux distributions trying to offer chimera-like operating systems that can be a server or a desktop at a whim, the more we tend to see the dilution of both. You can run stock Debian Jessie on your laptop or on a 64-way server. Does it not make sense to concentrate all efforts on one or the other?